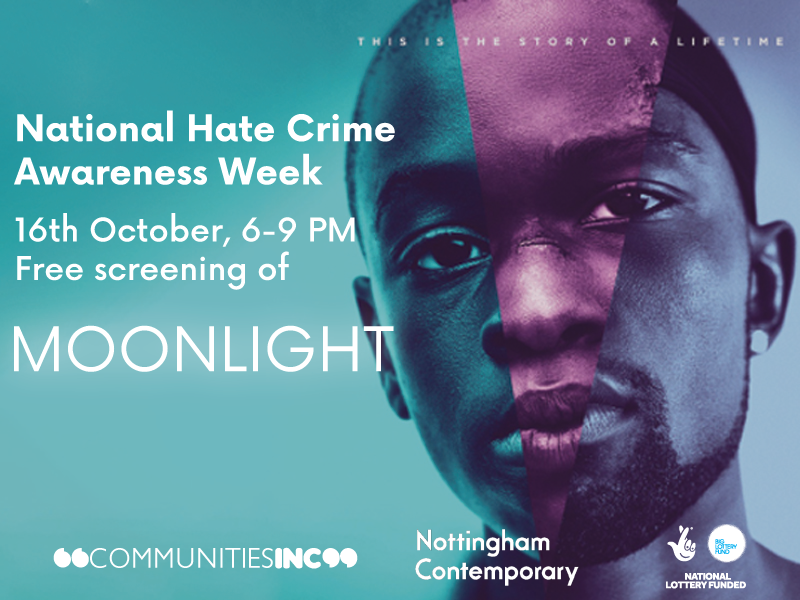 In partnership with Nottingham Contemporary art centre, we invite you to a free screening of Moonlight (2016) in recognition of National Hate Crime Awareness Week. The film tells the tender, heartbreaking story of a young man’s struggle to find himself, told across three defining chapters in his life as he experiences the ecstasy, pain, and beauty of falling in love, while grappling with his own sexuality. Join us for a fun quiz based on the film after the screening! Free refreshments will be provided.